SKU# TCPERL01 is the same configuration as ordering (1) SKU# TCPERL02 and (1) SKU# TCPERL03 separately. Vaginal dosing hasn’t changed for decades… until now! 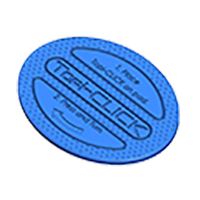 Introducing the NEW elegantly designed and comfortable Topi-CLICK® Perl™. (Precise Easy Reliable Loading) The revolutionary first vaginal dosing system and new vaginal applicator design that is comfortable and accurate, yet easy to use. What makes the Perl special? As with all DoseLogix products, the Perl was designed with the patients, pharmacist and the physicians in mind – meaning it provides a beneficial solution to all three interdependent groups – and it does! 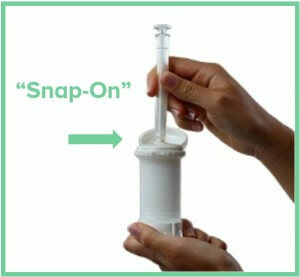 The all new, patent pending Perl Snap-on Applicator™ is made with FDA Approved medical grade, clear soft polymer. 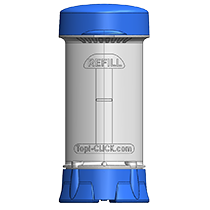 By combining it with the industry’s most accurate dispenser, the Topi-CLICK® 35, the result is revolutionary. 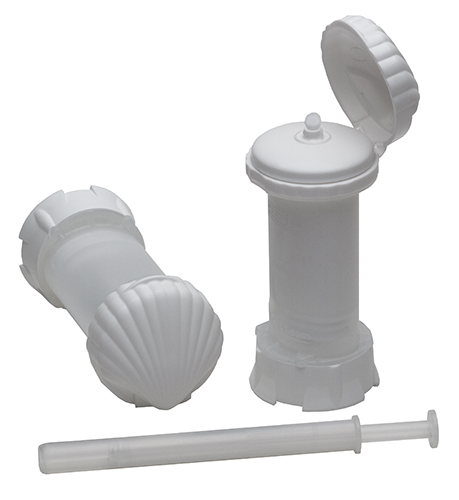 A comfortable vaginal dosing applicator with industry leading accuracy. 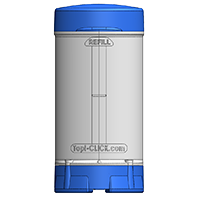 Discover the New Topi-CLICK® Perl™ Vaginal Dosing System. Samples are available – just click on the “Samples” tab and fill out the sample request form. The Topi-CLICK 35 (0.25 mL/ CLICK) is widely recognized as the most accurate and consistent dosing platforms available. 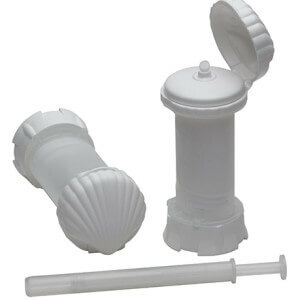 For PERL, DoseLogix has designed a new elegant hinged shell cap with a Snap-on Applicator Port™. 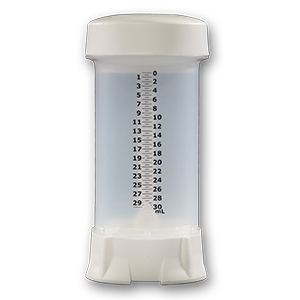 This new proprietary snap-on dosing system offers convenience, accuracy, consistency and produces significantly less residual than the traditional tube and applicator. 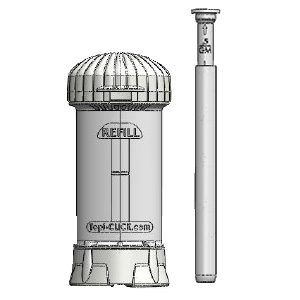 The Perl is the very first vaginal applicator of its kind. 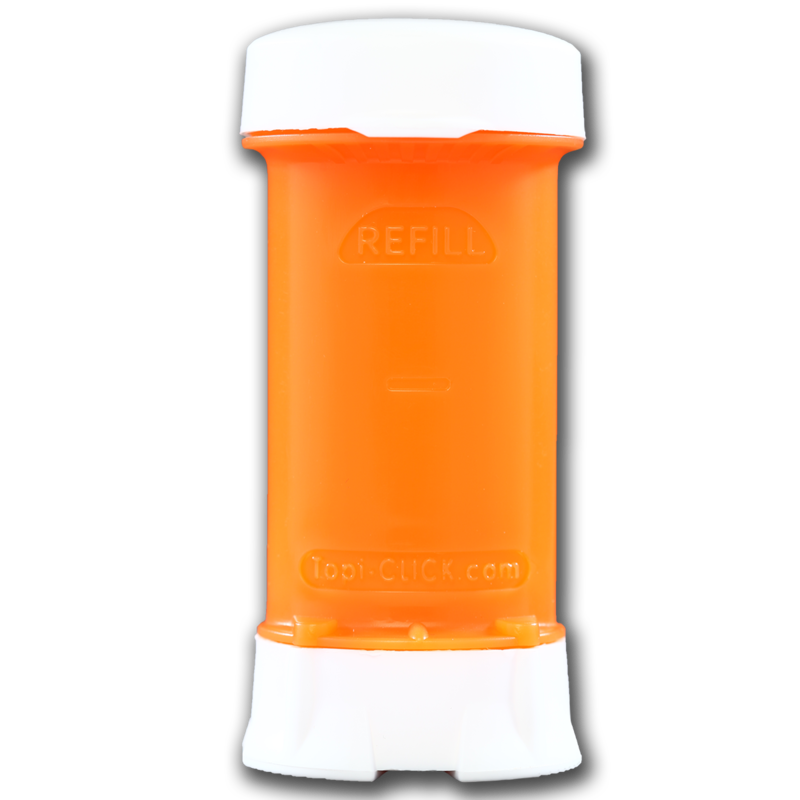 Made for comfort and convenience, the Perl Snap-on Applicator provides patient friendly ease-of-use with accuracy and low residual. 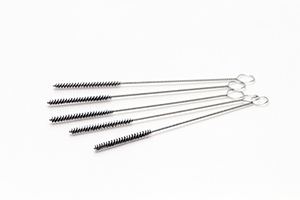 Made with medical grade, FDA approved polymer, the Perl Snap-on Applicator provides a clear, comfortable and flexible barrel for the finest vaginal dosing experience available. Comfort – Perl™ Snap-On Vaginal Applicator is made with clear, flexible soft medical grade polymer. 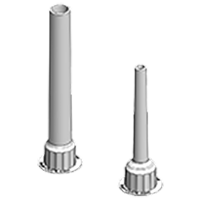 Accuracy – Automated Topi-CLICK dosing for accuracy and consistency through entire regimen. 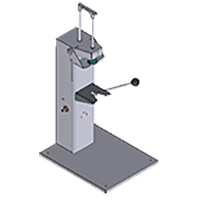 Less Residual – Less cost, less clean-up, less waste. Elegant Design – Convenient, fast and easy to use.